Acidity got you down? We know as an avid coffee drinker, nothing halts your happy train quite like a big gulp of bitter, burnt coffee. Worse yet, it may feel like betrayal when your beloved Arabica beans plague you with unsettling, gastrointestinal side effects. Let’s face it, too much acidity is never a good thing, but the situation turns dire when excess acidity comes between you and your beloved bean juice. To keep you from quitting coffee altogether, we put together a list of premium, low acid coffee beans that are guaranteed to keep the pep in your step without the biting, acid-induced side-effects. Just as their name implies, Volcanica Coffee is a specialty coffee retailer that delivers gourmet, exotic coffee from volcanic regions around the globe. Volcanica carries over 120 unique kinds of coffee, ranging from your everyday decaf to super stout, single origin Colombian coffee. Fortunately, also included in the mix, are 12 unique types of low acid coffee that were created for coffee devotees plagued with sensitive or upset stomachs. Their no-frills, low acid medium roast contains an assortment of Arabica beans grown on low-elevation coffee farms in the remote reaches of Brazil and Sumatra. So, you don’t have to worry about sacrificing the quality of your cup in lieu of low acid. In other words, Volcanica is happy to help you to indulge in a delicious, low acid cup of joe, but they also recommend kicking your friends from coca cola to the curb, first. Café Don Pablo’s close ties to intimate coffee farms in South America enables them to handpick 100% Arabica beans from over 1 million coffee trees. Not only have they formed close ties with Honduran coffee farmers through the Sharing Certified Program, but Café Don Pablo’s medium-dark, Subtle Earth Organic roast is also Certified Organic and slow in small batches in the states. Subtle Earth also proves that diehard coffee drinkers don’t have to forgo a powerful blend. Despite toting a low acid title, Café Don Pablo’s Subtle Earth Organic coffee maintain a dense, complex, full-bodied flavor that can only be found in high-altitude beans. Sourced from Honduras in the Marcala region, these beans are known to strike the perfect balance between robust and sweet. They offer a rich, bold, chocolatey flavor that has been toned down by touches of honey, caramel, and cocoa. So, how do they do it? Well, Café Don Pablo contends that the fruit of the coffee bean is composted and used as fertilizer and, if necessary, their expert coffee farmers will plant peppers as an insect repellent, so they can ditch insecticides and unnecessary additives. In other words, Subtle Earth beans aren’t just eco-friendly, they’re handpicked and carefully crafted to be sympathetic to health sensitivities, too. Not all low acid beans are created equal, and Volcanica is no exception. 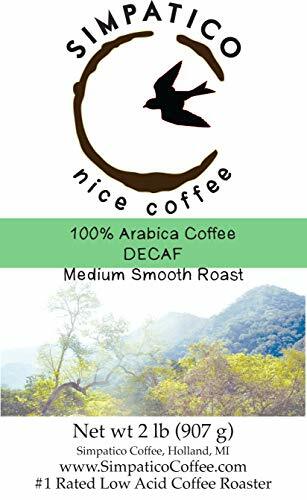 Unlike the previously mentioned low-altitude Volcanica blend, this magical, low acid Peruvian bean is organically grown high in the South American Andes and the Amazon River basin. Nicknamed “Tres Cumbres,” or three summits, Volcanica’s Peruvian coffee is packed full of complex flavor profiles and delivers enough punch to put harmful stereotypes about weak, low acid coffee to rest once and for all. Volcanica’s Peruvian beans are organic and elegantly serve the low acid coffee community, but they’re definitely not boring. Medium-roasted to perfection, these Peruvian beans offer a tart sweetness and fragrant finish that are equalized by smooth, smoky overtones. Basically, you get a whole lot more bean for your buck, when you stock up on Tres Cumbres. The charming little family behind the Lucy Jo brand claims they aren’t the youngest, hippest roasters on the block. However, we think 100% Arabica, Certified Organic beans are pretty darn cool. This family-run facility networks with local coffee farmers in Sumatra, Flores, and Brazil to hand roast beans in small batches and deliver high-quality, fresh coffee to households across the country. Even though Mellow Belly is a low acid blend, Lucy Jo’s vows to never fill your bag with filler beans and stands behind their earthy, single origin ingredients. 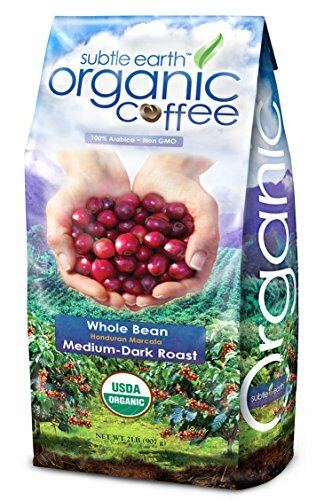 In fact, their ultimate goal is to connect coffee connoisseurs with healthier, natural alternatives to conventionally grown beans. The Mellow Belly blend is mostly sweet and smooth, with a hint of spice to keep things lively. And, just as its name implies, this bag of beans is handcrafted to take it easy on the tummy. Despite their humble beginnings in Upstate New York, Lucy Jo is steadily expanding their brand to a broader audience. So we think you should grab a bag and be a part of the Lucy Jo movement! Java Planet understands the frustration of not being able to enjoy high-quality arabica beans due to unpleasant side-effects. To combat this dilemma, they’ve concocted a smooth, medium-dark blend that is not only packed with flavor but is also guaranteed to be free of bitterness and harmful chemicals. Java Planet sources their single-origin, special grade beans from the La Pradera Estate, in Colombia, where they’re grown to perfection at over 5,000 feet in elevation. But a cup of Java Planet Colombian coffee won’t just save your stomach, Java Planet’s ties to The Rainforest Alliance ensure that each bag of beans promotes sustainability and helps to preserve forests, communities, and wildlife around the world. 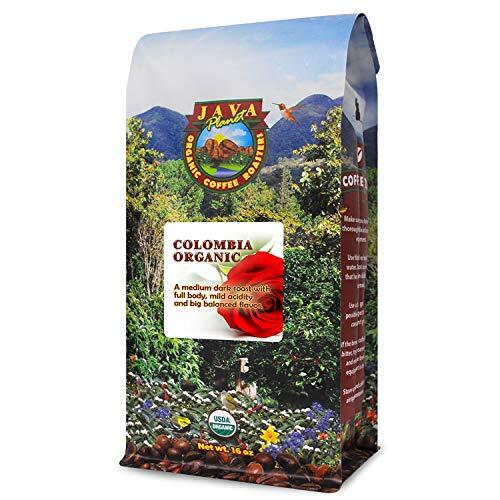 Java Planet’s Colombian bean is roasted in small batches to optimize flavor, and to appease your need for freshness, Java planet also dates every bag, so you know exactly when your beans came to be. According to Java Planet, their customers love to share how their low-acidity, authentic Colombian beans have changed the way they drink coffee. This one goes out to all the moms out there spending their days chasing toddlers, battling laundry baskets, and juggling full-time careers with angsty pre-teens or baby bumps. 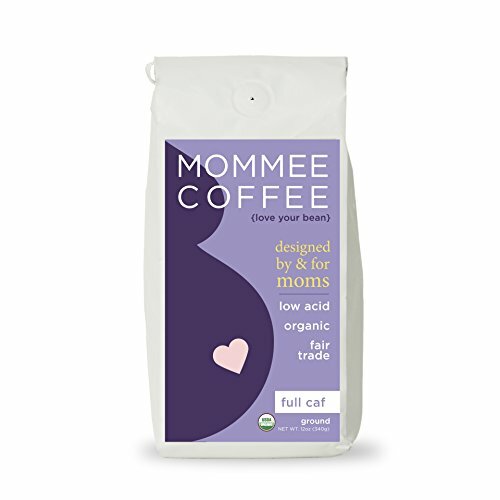 We appreciate you, and so does Mommee, a brand founded on the need to up the coffee game for moms and moms-to-be. According to head moms in charge, Emilie and Sharon, Mommee has been extensively tested and was proven to be four times lower in acid and contains half the chlorogenic acid compared to a typical cup of joe. Their fully caffeinated blend is a medium roast with a bright, caramel taste sourced from Ethiopia, Peru, Colombia, and Mexico. As an added bonus, their beans are 100% soy, dairy, wheat, and corn free. Brandishing the slogan, “Feel Better, Not Bitter,” Puroasts’ claim to fame is a proprietary and innovative roasting process they insist is unlike any other coffee company in the country. And while we can’t confirm or deny that fact, we can get behind an Organic, smooth, full-bodied French Roast blend, sans acid. 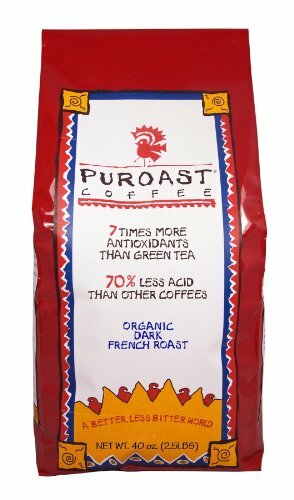 With a name like Puroast, you might’ve guessed that their coffee is 100% pure - no additives or extractions. However, these beans have also been rigorously tested by an expert, and it turns out Puroast beans have 7x more antioxidants than Green Tea and 70% less acid than your everyday cup of coffee. What really sets Puroast apart from other coffee roasters on this list, however, is that they aren’t a coffee company with a single, specialty, low acid coffee blend. Every single one of their bags boasts a low acid title. So, whether you pick up a bag of French Roast or you want to test out a variety of your favorite flavors, Puroast has you covered all the way from single-serve house blends to Colombian dark-roasts and espresso. Like Puroast, HealthWise puts your health at the forefront of their coffee roasting mission. HealthWise isn’t shy about their goal to put a coffee back into the hands of millions of people that struggle with acid reflux, GERD, and other stomach sensitivities. However, they also insist that you shouldn’t wait until you’re in pain to care about pumping excess acid into your body. Their low acid k-cups are packed with 9.5 grams of 100% Colombian Supremo coffee, making them the perfect option for health-conscious coffee drinkers that appreciate the bold, rich flavors of authentic Colombian blends. Like Puroast, HealthWise has their very own, FDA-approved, proprietary roasting process. However, there is more than one health benefit to drinking HealthWise. Their Techno Roasting process does stand-up job not only reducing pesky acids, but also safeguards essentials vitamins, minerals, and multi-nutrients, so they make it to your cup. Some coffee aficionados just want to appreciate the smooth, rich flavors of a good brew, without the kick of caffeine. Fortunately, Simpatico answers the caffeine-free call and roasts 99% caffeine-free, pure Arabica beans that are harvested in Oaxaca, Mexico. Working directly with local coffee farmers, Simpatico sources naturally low acid beans that have been shade grown and are free of harmful pesticides and herbicides. When making their specialty decaf blend, Simpatico uses the Mountain Water process to transform their caffeinated beans into a decaffeinated, dark chocolate brew with hints of dried fruit. Basically, they use only water to decaffeinate their beans. In 2011, Simpatico Coffee partnered with the Department of Food Science at Michigan State University and received a low acid certification, so you can rest-assured knowing that this low acid brew is one-of-a-kind. The pH scale ranges from 0 to 14. Water sits right in the middle at 7 pH and is considered neutral, while liquids like lemon juice and vinegar sit at pH 2 and your typical black cup of coffee rolls in at approximately 5 pH. There are a whopping 30 organic acids in coffee. Some acids don’t make it beyond the roasting process, while others do. Quinic acids tend to be the culprit of acid-based side-effect and cause coffee to have a sour taste. A lot of times, coffee drinkers equate acidity to tanginess or bitterness. However, according to coffee experts, some acids produce bright and fruity flavor notes that you’ll want in your cup. Without these “good” acids, your brew won’t be full-bodied and may taste flat. Things really get confusing when coffee roasters start referring to acidity as it relates to flavor, rather than the actual acid content in your cup. Dark roasts, for example, are typically marketed as less acidic (flavor) but contain more quinic acid (the pesky acid attributed to sour side-effects). You may not realize that your coveted high-altitude beans are naturally more acidic, while low elevation beans from places like Brazil, Peru, and Mexico tend to contain less natural acid. While there’s no such thing as no-acid coffee, that doesn’t mean you have to fight through pain to enjoy your favorite blend. There are a ton of coffee roasters that take pride in delivering low acid, high-quality beans to your door. So, regardless of whether you appreciate a premium cup of French Roast, a grab-and-go k-cup, or want your mug to be filled with a bold, Colombian brew, you never, ever have to quit coffee. And that’s all that really matters, right?